This blue soft cotton romper is made by Remember Nguyen (Remember When), a leading manufacturer of classic children's clothing. 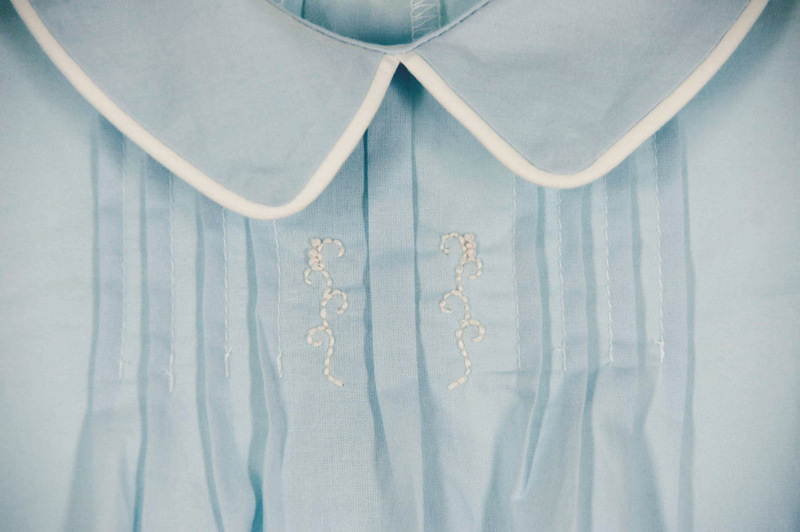 Perfect for portraits or for bringing your new baby boy home from the hospital, the romper has pin tucks on the chest accented with antique white embroidery. 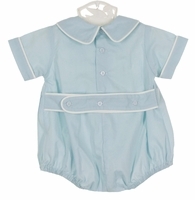 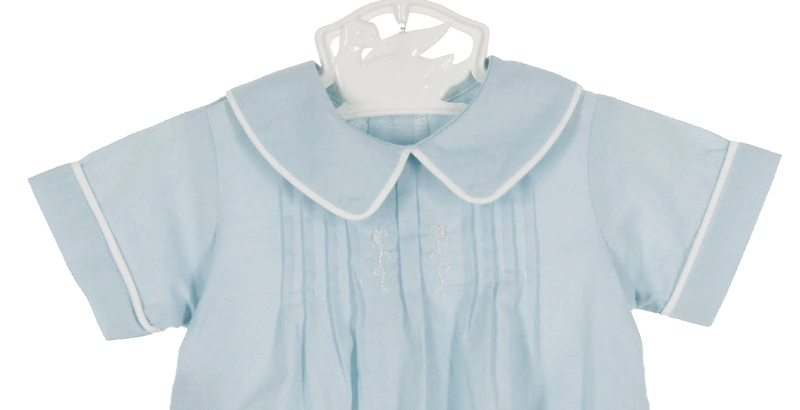 The blue Peter Pan collar, short sleeve cuffs, and back buttoned belt are trimmed with white piping. The romper buttons in the back and snaps in the crotch for easy changes. 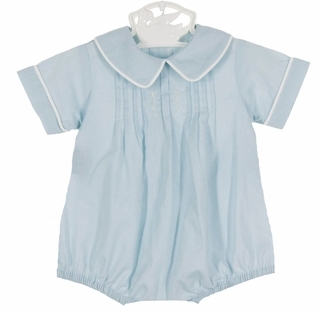 This sweet romper is also available in white. See below.